So You Want to Go to Medical School? Applying to study medicine can be a challenging and competitive endeavour. So You Want to Go to Medical School? 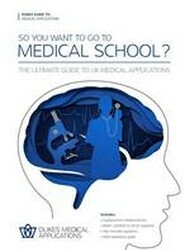 The Ultimate Guide to UK Medical Applications explains each stage of the admissions process, providing expert tips and practical guidance on how to excel every step of the way.